Maintaining calcium and alkalinity levels shouldn't be complicated. Simplify with the original easy-to-use ionically balanced 2-part buffer system. 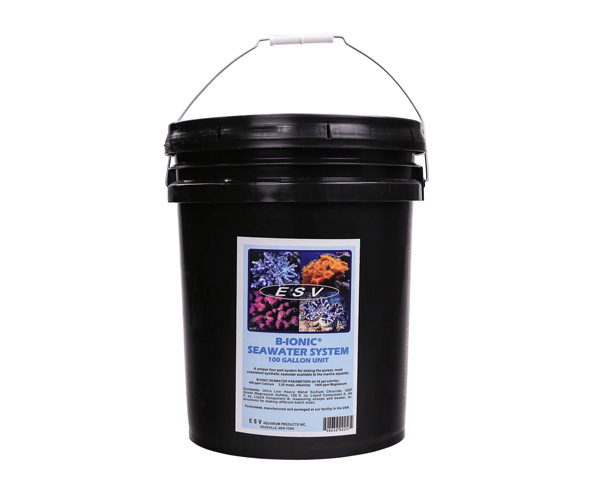 It's an economical alternative to a calcium reactor, and when used in equal parts, the aquarist can easily maintain calcium and alkalinity levels with no mixing of powders, disruption of ionic balance, or addition of organic chemicals. In addition to supplying highly concentrated calcium and carbonate alkalinity required for calcification, B-Ionic Calcium Buffer System is also formulated to provide all other important major, minor, and trace elements in the proper ratios to duplicate the composition of synthetic seawater. 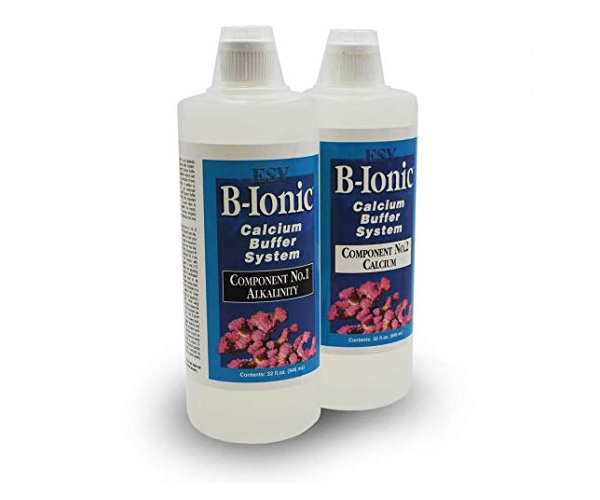 As a result, B-Ionic Calcium Buffer System will help restore inorganic ions lost from protein skimming and help maintain the ionic balance of your aquarium water.  is the latest product by ESV, formulated by Bob Stark in collaboration with Joe Yaiullo. B-Ionic Transition Elements PLUS+ changes the nutrient dynamics of reef aquaria without the use of specialized chemical media. It provides a conservative level of organic carbon, synergistically combined with trace elements to maximize heterotrophic bacterial uptake of nitrate and phosphate. 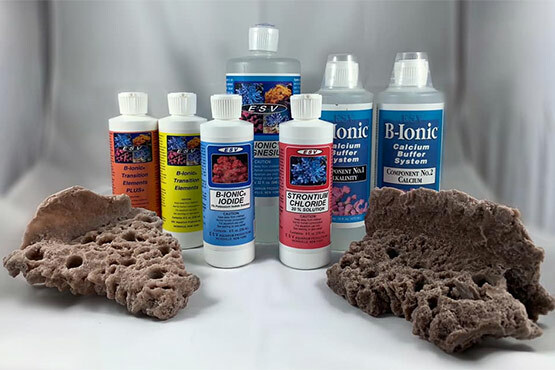 B-Ionic TE Plus+ can also provide many potential benefits such as enhanced production of marine snow, and mitigation of any hydrogen sulfide release within the aquarium. Also, enhanced coral coloration, better polyp extension, and increased water clarity have been observed with the use of B-Ionic TE Plus+. This product has been formulated to prevent accumulation of the transition elements it provides. Also available is B-Ionic Transition Elements, which provides all trace element benefits of the PLUS+ without the organic carbon dosing. 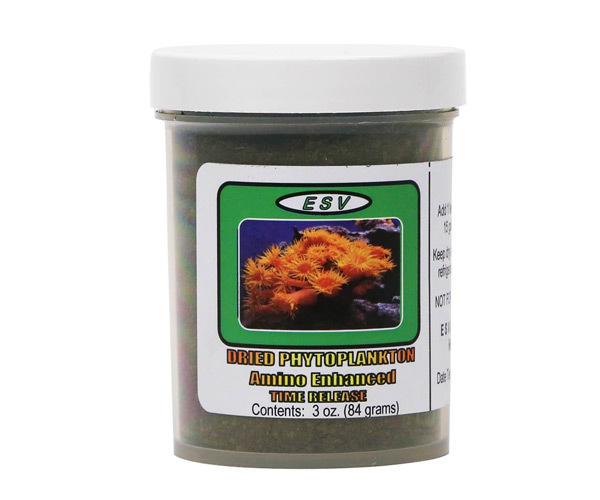 This product is suitable for aquariums already running below 5ppm nitrate, or for those using other forms of organic carbon dosing, such as vodka addition or organic pellet reactors. Available in 8 fl. oz., 32 fl. oz., 1 gallon, and 5 gallon. Our B-Ionic Seawater System is a unique four-part system for mixing the purest, most consistent synthetic seawater available to the marine aquarist. It is recognized that most reagent grade salts can contain contaminants (trace metals, etc.) at levels which may inhibit the growth of some algae species from low nutrient environments (oligotrophic) such as coral reefs. We address this issue by providing ultra-low heavy metal Sodium Chloride (maximum allowable lead concentration; lower than half the maximum allowable for reagent grade sodium chloride) and USP grade Magnesium Sulfate as the dry components of the system. All other chemicals pre-dissolved in our liquid components are subject to our three phase purification process, resulting in significant lowering of contaminants, including phosphate. The many dry blends that are available on the market today may not be homogeneous, which can result in considerable chemical variations, not only from batch to batch, but also from within the same container. Furthermore, humidity contamination during storage can result in localized precipitation reactions. The B-Ionic Seawater System avoids these issues by providing the dry components of our formulation in separate containers. All other major, minor, and trace elements are pre-dissolved in a highly concentrated two component liquid system. These components can then be easily measured for any size batch of synthetic seawater. Because we provide all of the slower dissolving ingredients in our liquid components, Batches mix quickly, and can be used within 10 minutes of preparation with no adverse effects, providing the initial RO and/or DI water contains sufficient dissolved oxygen. Our B-Ionic Magnesium supplement is a simple, one component liquid supplement which, when used in conjunction with our B-Ionic Calcium Buffer System, or Calcium Hydroxide (kalkwasser powder), will not disrupt the ionic balance of closed marine aquaria. Through the chemical process known as "ion-pairing", magnesium ion concentration influences the saturation point for calcium carbonate in solution. 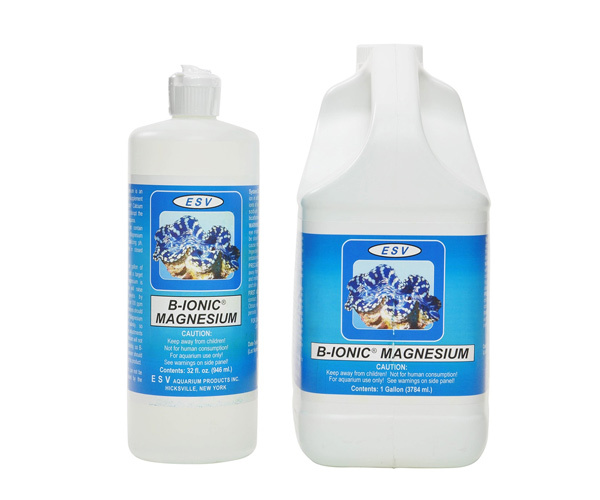 B-Ionic Magnesium does not contain nitrates, phosphates, organics, or chelating agents. 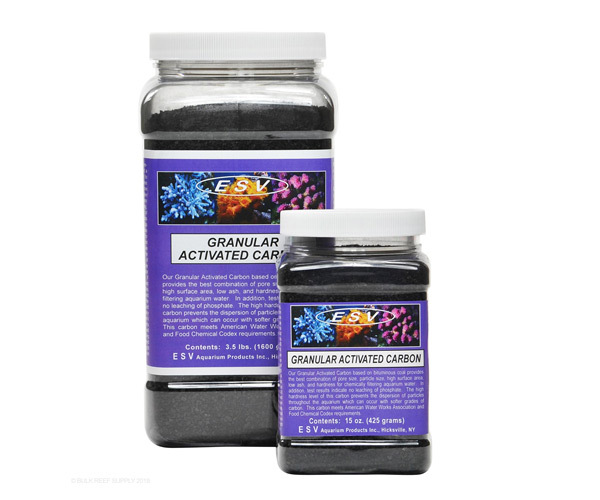 Our Granular Activated Carbon based on bituminous coal provides the best combination of pore size, particle size, high surface area, low ash, and hardness for chemically filtering aquarium water. In addition, test results indicate no leaching of phosphate. The high hardness level of this carbon prevents the dispersion of particles throughout the aquarium, which is more likely to occur with softer grades of carbon. Our Granular Activated Carbon meets American Water Works Association and Food Chemical Codex requirements. Iodide is an important micro-nutrient for many marine plants. It has also been suggested that iodide may play an important role in enhancing a coral's ability to adapt to rapid changes in light intensity and spectrum. 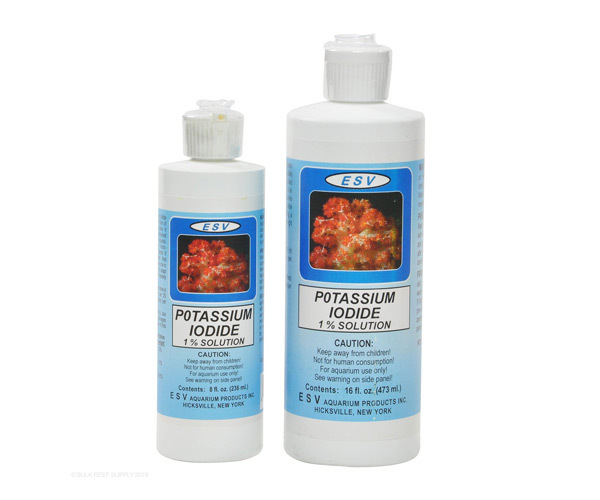 Our Potassium Iodide 1% Solution is a very pure, high soluble form of inorganic iodide, which makes it ideal for maintaining dissolved iodide levels in marine aquaria. 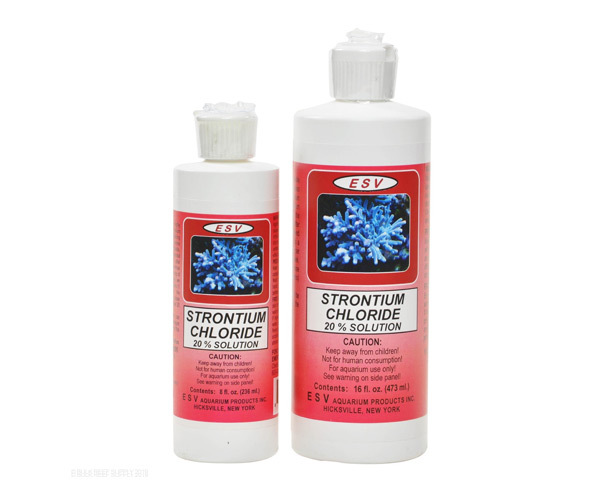 Strontium Chloride is a highly soluble form of inorganic strontium which makes it ideal for maintaining dissolved strontium levels in your marine aquarium. Like calcium chloride, strontium chloride has the potential to lower alkalinity levels after prolonged use. Our Strontium Chloride Solution is a very pure and concentrated form of strontium, free of phosphates or nitrates. Liquid Carbonate Buffer is a one component liquid additive with an alkalinity value of 2476 meq/L, in the form of sodium bicarbonate and sodium carbonate. Liquid Carbonate Buffer is useful for raising alkalinity in aquariums which already have high calcium concentrations (over 500 ppm) as it only raises alkalinity and does not supply calcium. Once the balance between calcium and alkalinity has been restored, we recommend B-Ionic Calcium Buffer and/or Calcium Hydroxide (kalkwasser powder) for maintaining calcium and alkalinity. Liquid Carbonate Buffer is also an extremely effective agent for destroying aiptasia anemones if a small quantity is injected into them. 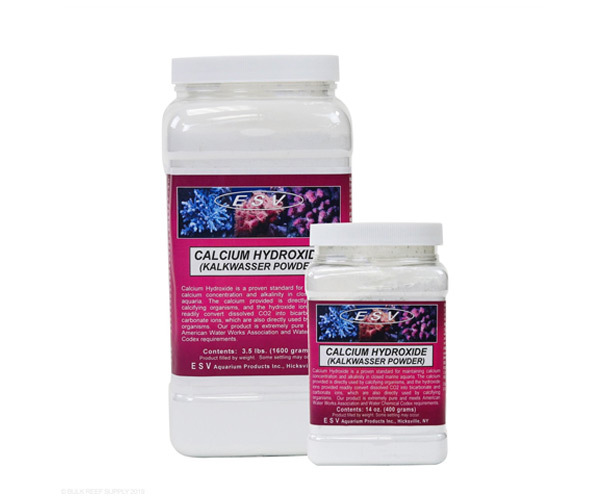 Calcium Hydroxide is a proven standard for maintaining calcium concentration and alkalinity in closed marine aquaria. The calcium provided is directly used by calcifying organisms, and the hydroxide ions provided readily convert dissolved CO2 into bicarbonate and carbonate ions, which are also directly used by calcifying organisms. Our product is extremely pure and meets American Water Works Association and Water Chemical Codex requirements. Available in 14 oz., 3.5 lb., and 22 lb. Dried Phytoplankton Amino Enhanced TR (DPAE-TR) is the new and improved amino acid enhanced version of the Dried Marine Phytoplankton Time Released (DMP-TR). In addition to the same species of phytoplankton found in the older DMP-TR, DPAE-TR contains other non-gmo cultured aquatic celled organisims which raise the protein level by 56%. DPAE-TR supplies larger particles which gradually break down into single cells (6-8 microns) as the material passes through the circulation pumps of the aquarium. The particles exhibit excellent buoyancy characteristics. This makes DPAE-TR the most versatile food available to he reef aquarist. DPAE-TR effectively eliminates the need for purchasing or culturing live phytoplankton cultures for your reef aquarium. Phytoplankton is an important first step in the food chain. Daily addition of DPAE-TR will not only directly feed the larger inhabitants of your reef aquarium. but also promote the production of zooplankton which in turn can be a valuable food source for your reef inhavitants. Depending on the feeding method employed, DPAE-TR functions as a filter-feeder food for corals and other invertebrates, fish food, larval fish food, larval invertebrate food, and an enrichment food for Artemia and rotifer culture. The abundance of HUFA's found in DPAE-TR causes the foam in protein skimmers to collapse briefly allowing the algae cells longer residence time in your aquarium before being exported by skimming. Although the very high levels of HUFA's (especially Docosahexaenoic Acid shown to be critical for proper marine larval development) makes DPAE-TR unique, it also functions as a source for the following trace elements, vitamins, amino acids, and minerals: Cobalt, Copper, Iodide, Iron, Manganese, Molybdenum, Nickel, Selenium, Silicon, Tin, Vanadium, Zinc, Vitamins A, E, B12, C, Thiamin, Riboflavin, Pyridoxine, Pantothenic Acid, Biotin, Folic Acid, Choline, Niacin, Aspartic Acid, Threonine, Serine, Glutamic Acid, Proline, Gylcine, Alanine, Cystine, Valine, Isoleucine, Leucine, Tyrosine, Phenylalanine, Lysine-HCL, Histidine-HCL, Arginine-HCL, Tryptophan, Calcium, Potassium, Phosphorus, Sodium, Magnesium, Sulfur, and Chloride. Our Ultra-White Substrate provides the whitest calcium carbonate based sand available to the marine aquarist. This translates to greater efficiency of lighting systems by providing increased levels of reflected light from the aquarium bottom. The very fine particle size of the predominantly calcite sand offers many advantages to the aquarist. Finer sands provide an environment which supports a wider diversity of substrate dwelling species than coarser grade sands. It has been our experience that these organisms quickly establish themselves as recruits from live rock. This process usually takes about one month. Seeding with "live sand" may speed up the process and increase the diversity of substrate dwelling organisms. The addition of live sand is not essential for this product to perform as a denitrifying habitat within closed aquaria. The fine particle size also prevents entrapment of larger detritus particles, provides efficient denitrifying zones with as little as one inch depth, and facilitates dissolution of sand by providing very high surface area. We recommend 1.5 to 2 inches of sand. 8.25 pounds of sand will cover 1 square foor of tank bottom with a sand layer 1 inch deep. This is the larger particle size version of our Ultra-White Fine Grade Substrate for aquarium with very high water velocity, or for hobbyists who simply prefer larger particle sizes. 8.25 pounds of substrate will cover 1 square foot of tank bottom with a substrate layer 1 inch deep. The source of our Ultra-White Substrate is NSF certified for use in potable drinking water, and is extremely pure, making the coarse grade an ideal calcium reactor media. Testing has shown no detectable addition of orthophosphate to the aquarium from the reactor. 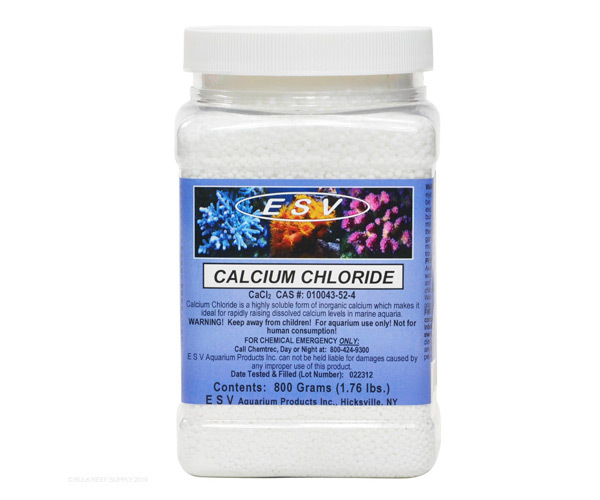 Our Calcium Chloride is a highly soluble form of inorganic calcium which makes it ideal for rapidly raising dissolved calcium levels in marine aquaria. It is a very pure anhydrous grade free of phosphate and nitrates. The highly soluble property allows the aquarist to rapidly adjust calcium concentrations to desired levels. The aquarist should be aware that Calcium Chloride does not add bicarbonate and carbonate ions to the system. Since most calcifying organisms require these ions in addition to calcium ions, the aquarist should monitor alkalinity frequently when using Calcium Chloride, and make the proper adjustments with a buffer additive. Calcium Chloride can directly reduce alkalinity by elevating the calcium ion concentration to excessively high levels, and thereby initiate the precipitation of calcium carbonate from the water. This may or may not be visibly detectable, depending on the magnitude of precipitation. Excessive use of Calcium Chloride may disrupt the balance of ions in a marine system by the continued addition of chloride ions. We recommend B-Ionic Calcium Buffer or Calcium Hydroxide as better long-term calcium and alkalinity supplements, but Calcium Chloride can be very useful in restoring low calcium ion levels in systems with adequate to high alkalinity levels. 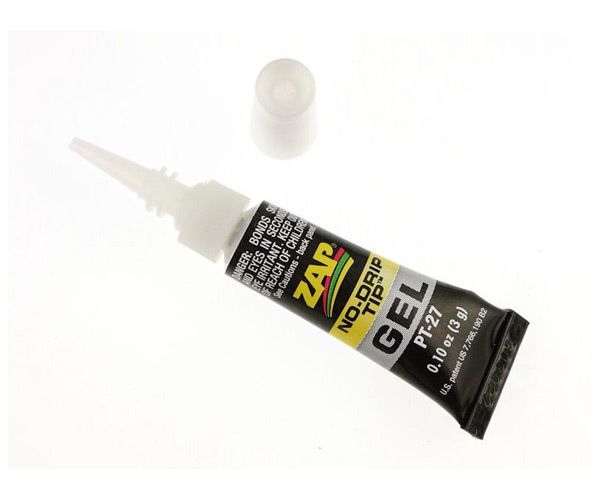 Zap Gel is a cyanoacrylate gel type instant adhesive. Excellent for gluing stony coral fragments to coral rock and other surfaces. No messy mixing of 2 part epoxy putties, or concern with irritation to tank inhabitants from leaching amine epoxy curing agents. Highest purity cyanoacrylate adhesive available (not diluted with low cost resins). any question you may have. B-Ionic® stands for "Balanced Ion Technology;" the foundation upon which ESV’s B-Ionic® Calcium Buffer System, the first ionically balanced two component, was developed in 1995. Through this technology, our products are aimed at maintaining and improving the overall ionic balance of your aquarium water. We offer the ultimate in product quality, consistency, and purity. This is accomplished through rigorous quality control, expert formulation, raw material selection, and product purification. We start by selecting chemicals with extremely low heavy metal impurity levels, which is of most concern. In many cases we choose FCC grade chemicals over USP grade. In those cases, the FCC grade is certified to have less than half the heavy metal (as Pb) content of USP grade. B-Ionic® Reef Keeping (BRK) strives to simplify the science and art of reef maintenance, moving it further away from more complex methods. With the Transition Element products, along with the soon to be released B-Ionic® Nitrogen, the aquarist can control nutrient levels to reduce or eliminate the use of Ferric Hydroxide, or other phosphate removal media. With BRK, the overall ionic balance can be monitored at home with readily available test kits. While ICP testing can be valuable in diagnosing problems, it is not required with BRK. Since most elements are going into the aquarium with B-Ionic® Calcium Buffer, harmful levels of these elements are avoided if proper salinity is maintained. Home test kits give immediate results, and avoid the lag time involved with receiving ICP results. B-Ionic® Calcium Buffer supplies all major, minor, and trace elements of synthetic seawater. As such, increased calcification rates require increased dosages of B-Ionic® Calcium Buffer, which in turn increases the input of all other elements. The elements supplied in our B-Ionic® TE and B-Ionic® TE PLUS are not necessarily linked to calcification. The uptake of iron,manganese, and zinc could be higher in systems with macroalgae and soft coral. Therefore, the dose of TE products are independent of calcification rates. Through recent test results, we have determined that many major and minor ions are kept stable even without water changes when using B-Ionic® Calcium Buffer. This can be verified by using home test kits for magnesium, strontium, boron, and others. If the concentration of any elements drop below acceptable levels, using our weekly and as needed additives can remedy the situation without water changes. Dissolved organic buildup can be reduced with ESV Granular Activated Carbon. Water changes will, however, lower the buildup of refractory dissolved organics and nutrients if they can not be remedied through other methods such as protein skimming, algae scrubbing, or organic carbon dosing. ESV B-Ionic® Calcium Buffer System, adds all major, minor, and trace elements of artificial seawater daily with no risk of overdosing in systems maintained at normal salinity, calcium, and alkalinity. While many products claim to be balanced for calcium and alkalinity, many are not balanced with regards to the ions they leave behind in your aquarium water. After calcium and alkalinity have been used by the organisms in your aquarium, products based solely on calcium chloride and sodium carbonate/bicarbonate leave unwanted sodium chloride behind in your water. Over time, as salinity is corrected, the ionic content of the aquarium water drifts closer to a sodium chloride solution, rather than a synthetic seawater solution. B-Ionic® Calcium Buffer System solves this problem by leaving behind all major, minor, and trace elements of synthetic seawater in their correct ratios. In this case, as salinity is corrected, the ionic balance of the aquarium water is not disrupted, and in fact, is pulled closer to the correct ratios of synthetic seawater with no risk of overdosing any elements. Based on our ingredient selection and formulation capability, B-Ionic® Calcium Buffer is completely balanced for magnesium, eliminating the need for a 3rd component. While B-Ionic® adds all the elements of synthetic seawater on a daily basis, some elements are depleted more rapidly than B-Ionic® can keep up with. For this reason, the second main additive of the B-Ionic® Reef Keeping System is one of the two B-Ionic® Transition Element products. 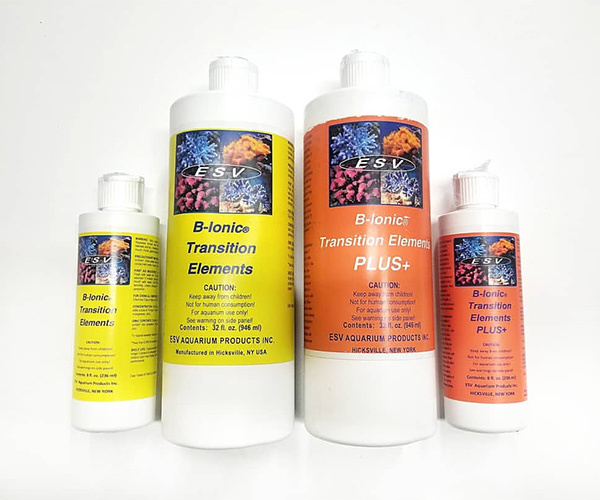 B-Ionic® Transition Elements and Transition Elements PLUS+ both add the transition elements iron, manganese, and zinc on a daily basis to the aquarium. Through extensive research and development, we have arrived at concentrations of these elements which will not accumulate in your aquarium water. B-Ionic® TE and TE PLUS+ will help mitigate any hydrogen sulfide formation, and provide limiting trace elements for maximum growth of macro algae and zooxanthellae. Enhanced coral coloration and polyp extension have also been observed with the use of the B-Ionic® TE and TE PLUS+. B-Ionic® Transition Elements PLUS+ also supplies carbon dosing for aquariums requiring nutrient reduction. B-Ionic® Iodide and B-Ionic® Strontium Iodide and strontium are ions that can deplete faster than the levels supplied in B-Ionic® Calcium Buffer, and for this reason we recommend weekly additions of these products. The aquarist has the option of customizing this dosage based on test kit results. B-Ionic® Magnesium, B-Ionic® Potassium, B-Ionic® Calcium Nitrate. B-Ionic® Calcium Buffer adds all of the ions supplied by the above listed products on a daily basis in their correct ratios, and are effective at maintaining their correct concentrations. Should any of these elements deviate over time, these additives are available to be dosed based on test results. 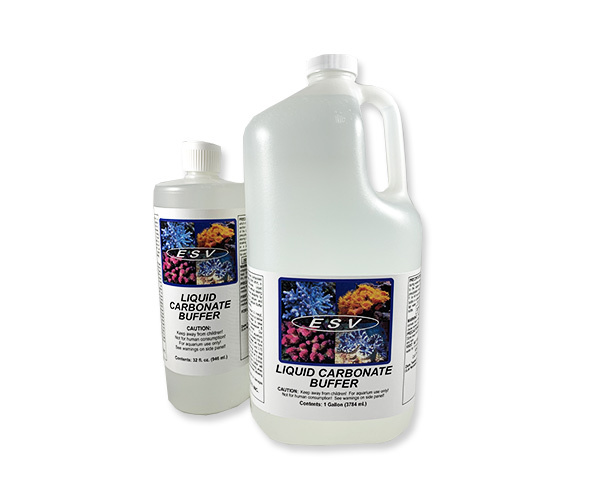 All ESV additives are formulated to prevent disruption of ionic balance in your aquarium water. We will soon be releasing a simple method for approximating sulfate concentrations using a home test kit. Sulfate concentration, along with other element test kit results, are important in determining the overall ionic balance of a system not employing water changes. B-Ionic® Potassium, B-Ionic® Calcium Nitrate will be available later this year. What does the term B-Ionic mean? B-Ionic stands for "Balanced Ion Technology;" the foundation upon which all of our products have been developed. Through this technology, our products are aimed at maintaining and improving the overall ionic balance of your aquarium water. There are many 2 and 3 component products claiming to be "balanced." What makes B-Ionic Calcium Buffer System different? While many other products claim to be balanced for calcium and alkalinity, they are not balanced in regard to the ions they leave behind in your aquarium water. After calcium and alkalinity have been used by the organisms in your aquarium, products based solely on calcium chloride and sodium carbonate/bicarbonate leave unwanted sodium chloride behind in your water. Over time as salinity is corrected, the ionic content of the aquarium water drifts closer to a sodium chloride solution, rather than a synthetic seawater solution. B-Ionic Calcium Buffer System solves this problem by leaving behind all major, minor, and trace elements of synthetic seawater in their correct ratios. In this case, as salinity is corrected, the ionic balance of the aquarium water is not disrupted, and in fact, is pulled closer to the correct ratios of synthetic seawater. While 3-component systems that incorporate magnesium sulfate are more ionically balanced, they are still missing important major, minor, and trace elements. Therefore, disruption of ionic imbalance will still occur. How do I know how much Alkalinity and Calcium to dose in my tank? Every reef aquarium has it's own unique demand for calcium and alkalinity, and in order to establish the needs of your tank, we recommend testing those parameters. The recommended starting dose is 1 ml. of each component per 4 gallons of aquarium capacity per day, and with regular testing, you can adjust your dose accordingly. Do I have to dose equal amounts of alkalinity and calcium? I received my alkalinity component, but the contents are solid at the bottom of the bottle. Is this normal? How can I get the solidified contents to go into solution? It is normal for the B-Ionic Alkalinity component to precipitate chemicals if exposed to temperatures below 60 degrees Fahrenheit. For Concentrate, we recommend diluting your product with RO/DI water, keeping it in a warm room, and intermittently mix the product until (48-72 hrs average) all chemicals go into solution. For product packaged in 5 gallon buckets, look down through the spout to make sure all chemicals in the bottom have been dissolved. In order to accelerate the process, you can submerge the bottle in warm water (120-130 deg F). Just be sure to put the bottle in a bag before you submerge it, because our labels are not waterproof. For the ready to use alkalinity component, simply mix intermittently while storing in a warm room to ensure all chemicals are dissolved. The solution should be completely dissolved before use. Check the bottom of the container, and if you see any undissolved material, it needs more time and/or heat. I received B-Ionic Calcium Buffer System Concentrate, but there seems to be more of the alkalinity component in the bottle than calcium. Is this right? It is normal for there to be more liquid concentrate in the alkalinity component as compared the the calcium component. This is simply a result of making our solutions as concentrated as possible. The only exception to this rule is our bulk 20 gallon unit which has equal amounts of concentrate in both components, in order to allow easier measurement of the dilution water. Can the liquid components of the B-Ionic Seawater System be used like the B-Ionic Calcium Buffer System to dose Alkalinity and Calcium in my system? Components A and B of the B-Ionic Seawater System are not interchangeable with components 1 and 2 (alkalinity and calcium, respectively) of the B-Ionic Calcium Buffer System. The liquid components included in the seawater system need to be mixed with the sodium chloride and magnesium sulfate included in the mix, in order to achieve the correct ionic ratios of elements. For this reason, it is recommend that you do not use the liquid components for alk/cal dosing. 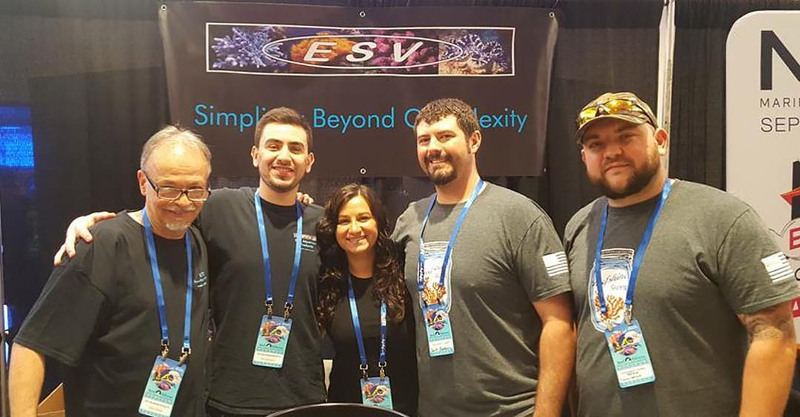 © 2019 ESV Aquarium Products. All Rights Reserved.